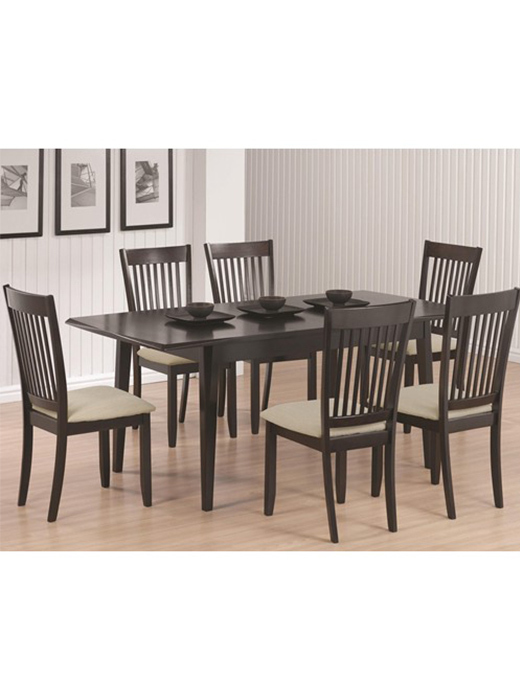 This sleek contemporary dining table will be a nice addition to your semi-formal dining room. The rectangular table top sits above block legs with tapered bases, offering sophisticated style and plenty of space to seat six family members. 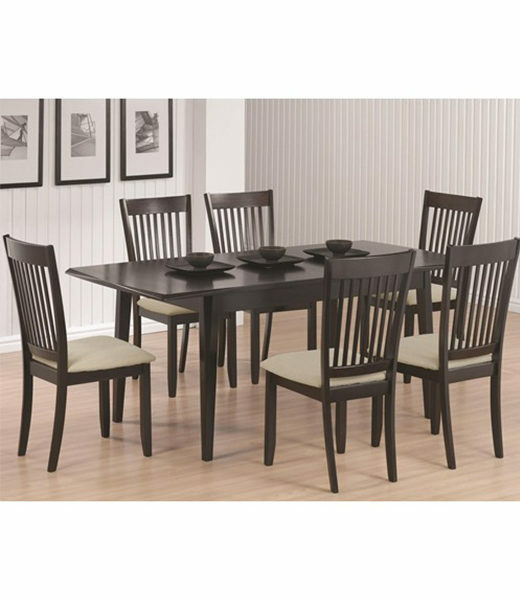 Blending nicely into any home, this sturdy casual dining table is a nice choice. Case Detail Square block legs with tapered feet. Description: Top Smooth tops with straight clean edges. Case Construction Crafted from select hardwoods and oak veneers.